Why is laminate flooring growing in popularity? Advances in technology can take credit for this. Years ago laminate flooring looked fake. Not only did it look fake but it sounded fake. A clearly hollow sound could be heard when walking on the planks. Nowadays, with its durable multi-layer construction and with the evolution of digital print technology, planks look (and sound) realistic making it hard to distinguish them from hardwood. Even texture is now added to laminate flooring to mimic the hand scraped and rustic finishes found in hardwood. It means that all the current flooring trends in hardwood flooring are now available in laminate. See our article on hardwood trends for 2017. The popular light colours and dramatic dark stained flooring , hand scraped and rustic finishes, layout patterns (chevron, herring bone, diagonal), wider planks, and even a trend towards reclaimed wood and exotic wood species are now all available in laminate flooring. 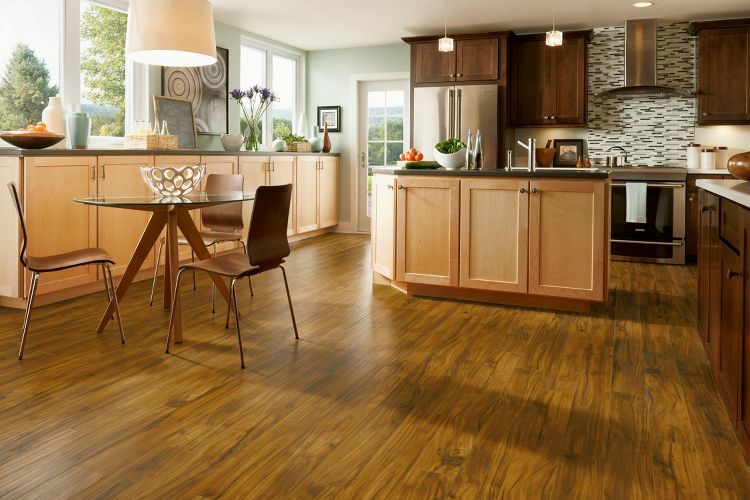 Laminate flooring is typically more affordable than hardwood and engineered hardwood flooring. Therefore you can get the same look for a lower price. And given that laminates are so realistic and come in the same finishes and colours as hardwood, you aren’t limited to going with an outdated look, you can get that same trendy looks that are available in hardwood flooring. 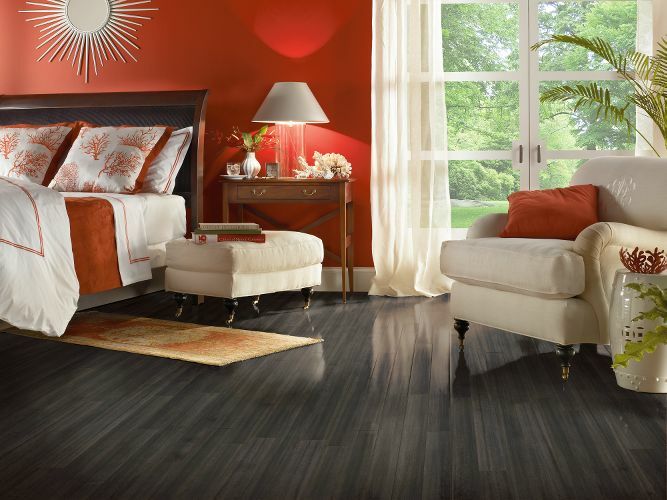 Laminates are also a practical choice for homes or rooms that require durable and worry-free flooring. For this reason, it is a popular choice in homes with children and pets. The top layer of laminate flooring offers good protection from fading, scratches, and damage from everyday wear and tear. Installation can be done by the DIY expert. Laminate flooring uses a tongue and groove interlocking system that comes in planks (or squares) of varying sizes. No gluing or nailing is required making installation relatively simple. Although we have been discussing laminate flooring that mimics the look of hardwood, laminates also mimic the look of stone tiles. So if you were thinking more along the lines of natural stone for your space, laminate is a good option as well. As with all flooring products, laminates are available in a range of prices and quality. Be sure to ask about the warranties that accompany the products you are interested in. 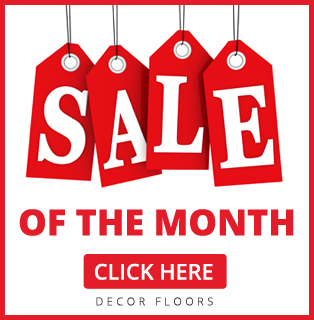 After helping so many customers over many years create their perfect living spaces, you can trust the experts at Decor Floors to do the same for you! 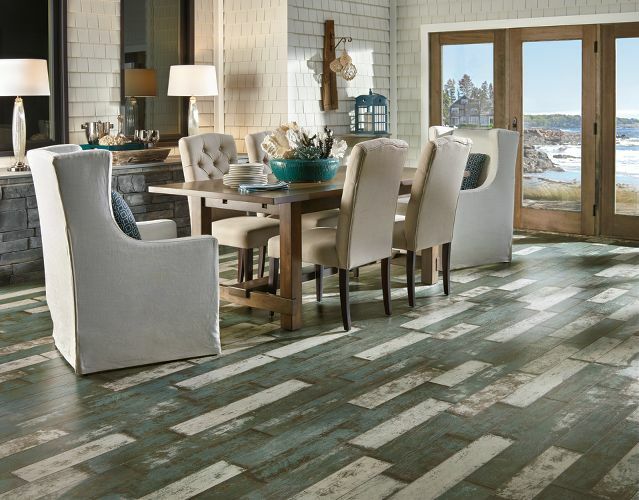 We carry brands like Armstrong Flooring, that are synonymous with quality and selection, so that you can rest easy knowing you have made the right choice. Visit one of our three locations in Toronto, Mississauga or Brampton or call us to set up an appointment and we will come to you!